Leisure seekers have been enjoying the convenience and comfort that a 4-wheel drive amphibious offers with OCM’s rather successful amphibious range, specifically the 8.4M, 9.5M Beachlander (which features a bow that can be opened into a ramp for easier boarding and diving), and the 9.8M models. Now, they can enjoy these benefits in the more compact 7.1M model as well. This entry-level, fully packaged model, which is already available worldwide and has been recently introduced in the US, comes equipped with a single engine, comfortable seating and OCM’s signature ‘reverse chines’ design. 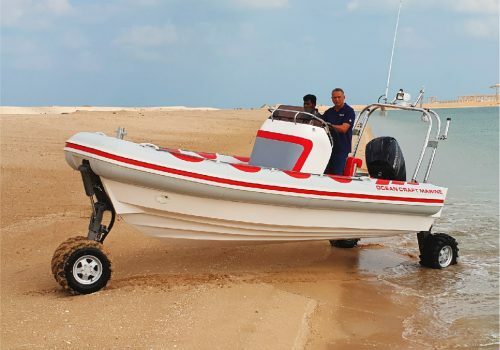 But, what truly sets it – and the rest of OCM’s amphibious range – apart from other leisure boats is its BAS-80-4 Amphibious system. Comprised of 4 independently motorized and steerable wheels that allow one to drive it straight from their home into the water, it makes life infinitely easier with a faster launch time and broader reach. Once in the water, the wheels can be retracted for an unhindered, smooth on-water experience. The ocean means something different to different people: for some it’s a place of peace and quiet reflection; a space to get the blood rushing, a setting to connect, distraction-free, with self and close friends. 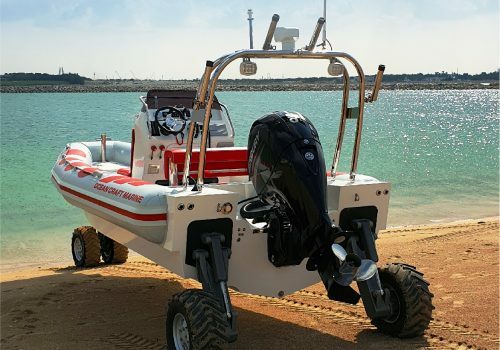 With OCM’s custom-built Recreational Amphibious range,you can now take to the water, whenever and wherever. 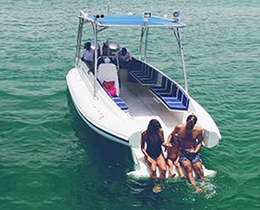 Simply hop into your OCM Amphibious boat, drive there and enjoy. And loaded with all kinds of interesting information. From our thoughts on the happenings in the maritime world to scoop on our latest innovations, to places to go and things to do when you’re there, our brand-new blog will feature an ocean of fun stories and interesting information that we hope you enjoy. And of course, your suggestions and comments are welcome.